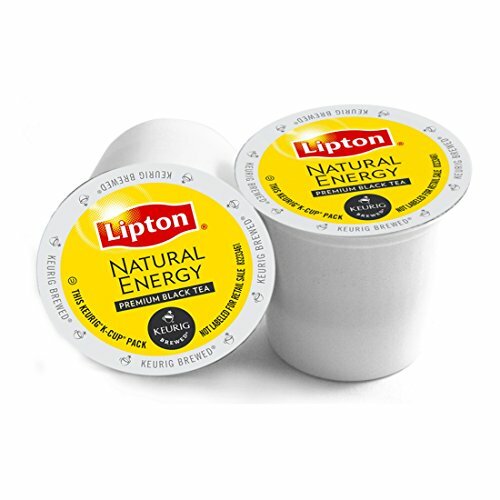 Unlock the energy with new Lipton Natural Energy, a great-tasting aromatic tea that naturally has caffeine to keep you alert and energized throughout your day. To unleash the true tea taste and aroma, Lipton crafted an innovative process where they press fresh, high-quality tea leaves to release their natural essence. The result is a delicious blend with natural caffeine and theanine. Each of the six boxes come packed with 18 K-Cup packs that can be used with any style or model of Keurig K-Cup brewing machines.